As we are welcoming the New Year, this post rewinds you the best smartphones which are highly rated in 2016. The top ten best smartphones of 2016 are one plus 3, Google pixel XL, Samsung galaxy S7, Apple iPhone 7 plus, Huawei honor 8, Xiaomi redmi 3S prime, Azus zenfone 3 5.2 inches, Moto Z, HTC 10, and LG V20. 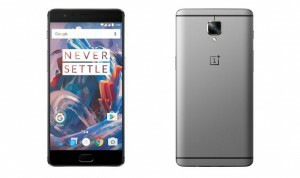 One plus 3 is priced at $399 and it offers excellent features within the price limit. Increased RAM capacity, longer battery life, and 1080p display are the exceptional features of one plus 3. It comes with a lot of customization options and it gets updated regularly with the updates made available for one plus. Google pixel and Pixel XL has the same specifications except the screen size. Pixel has 5-inch display and XL has a 5.5-inch display. RAM capacity is 4GB RAM, 32 or 128 GB internal storage, 12.3 primary and 5MP front camera. The phone is powered by the android nought7.1 operating system with Google assistant and other significant features which are not found on other android 7.1 devices. Pixel is priced at $649 and $749. XL is priced at $769 and $849. Samsung Galaxy S7 and S7 edge come with advanced features like fingerprint sensor, waterproof, Samsung pay support, faster videos, photos, and fantastic edge design with the use of metal. Wireless charging is another user-friendly feature of Samsung. Iphone 7 plus appears similar to iPhone 6s or 6s plus. The water resistant model comes with highly improved camera, greater RAM capacity, larger battery, stereo speakers, fast processor, and extra rear camera for telephoto. Honor 8 is powered with kirin 950 processor, 4GB RAM, 32 GB internal memory, 5.2-inch display, dual rear 12 MP cameras and IR port. The phone comes with a lot of customization options and it is priced at $400. Xiaomi redmi 3S prime comes with a fingerprint scanner, 720pixel display, fine camera, and longer battery life. RAM is slightly lower than 2GB and has 16 GB internal storage. The phone is priced at 6,999 INR. Azus Zenfone 3 comes with QUALCOMM snapdragon 620 processor with 3GB RAM, 2650 mAh battery. The smartphone has 16 MP primary camera, dual LED flash, 5.2-inch camera priced at 21,899 INR. Moto Z smartphone comes with a pico projector, 16 magnetic connector pins, JBL stereo speaker, custom rear skins, capacity to zoom up to 10x and priced lower at 6,999 to 19,999 INR. HTC 10 is the first phone to come with OIS front facing camera, 12 MP ultra pixel camera for perfect photos and videos. The phone is currently priced at 52,990 INR. LG V20 comes with removable battery, micro SD expansion card, IR transmitter, integrated drop protection, wide angle rear camera and powered with android nougat 7.0. The price is not disclosed yet and it expected to come in future days.